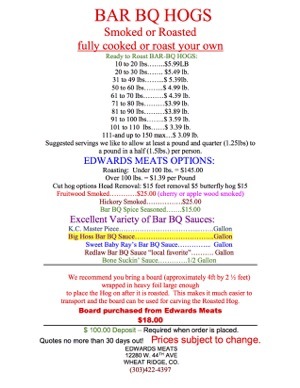 Edwards Meats offers the finest pork products with a wide variety of cuts and preparations. 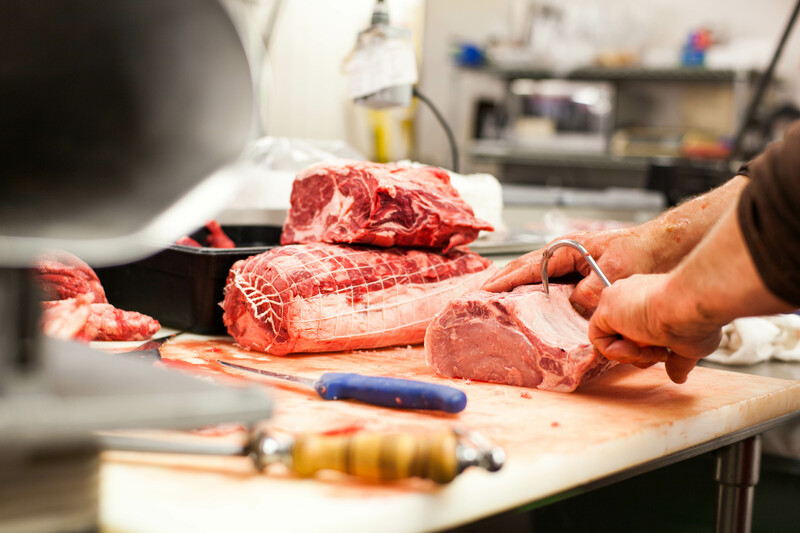 Fully cooked or roast-your-own. All sizes available, 30 - 150 lbs. Smoked or oven roasted. Pork Loin $3.49 per lb.